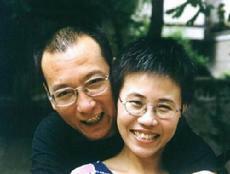 Today, while much of the world was celebrating a season of goodwill, a court in Beijing sentenced the writer and activist Liu Xiaobo to eleven years in prison and two years deprivation of political rights for publishing about 225 Chinese characters over the last few years in which he asked for political change in his own country. Liu is a member of the Independent Chinese PEN Center, four other members of which are also currently in jail for peacefully expressing their political views. They and about forty other writers, journalists and bloggers are the victims of Chinese laws and legal procedures that are in violation of international human rights treaties – from the UN Declaration of Human Rights to the International Covenant on Civil and Political Rights – to which China is a signatory and of the Chinese Constitution, which promises a free press and freedom of expression. Liu’s most important offense is his promotion of Charter 08, the wonderful document asking for real democracy in China that has now been signed by some 10,000 Chinese citizens. You can find out more by going to the PEN American Center web site. We had an event on New Year’s Eve on the steps of the New York Public Library – symbol of the respect for literature in our country – to protest. 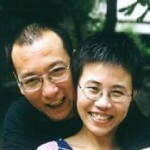 Please send a letter to the Chinese government asking for his release. I explained our position on CNN.